I have a new cubicle-neighbor at work. He’s participating in a job rotation, where you take over someone’s job responsibilities for a specified period of time, cross-training that promotes the company’s ability to function if, as my boss is fond of saying, you get hit by a bus tomorrow. So he’s not really a new employee, but he’s new to our area and, crucially, new to our floor. He used to work on the fifth floor. We all turned around and looked at each other. Heads popped up above partitions. He was somewhat mercilessly grilled about the fifth floor garbage situation as we explained how things work (or don’t, depending on your point of view) on the second floor. Apparently, if you work on the fifth floor, your garbage gets emptied for you. Every day. And I’m just not sure what to say to that. 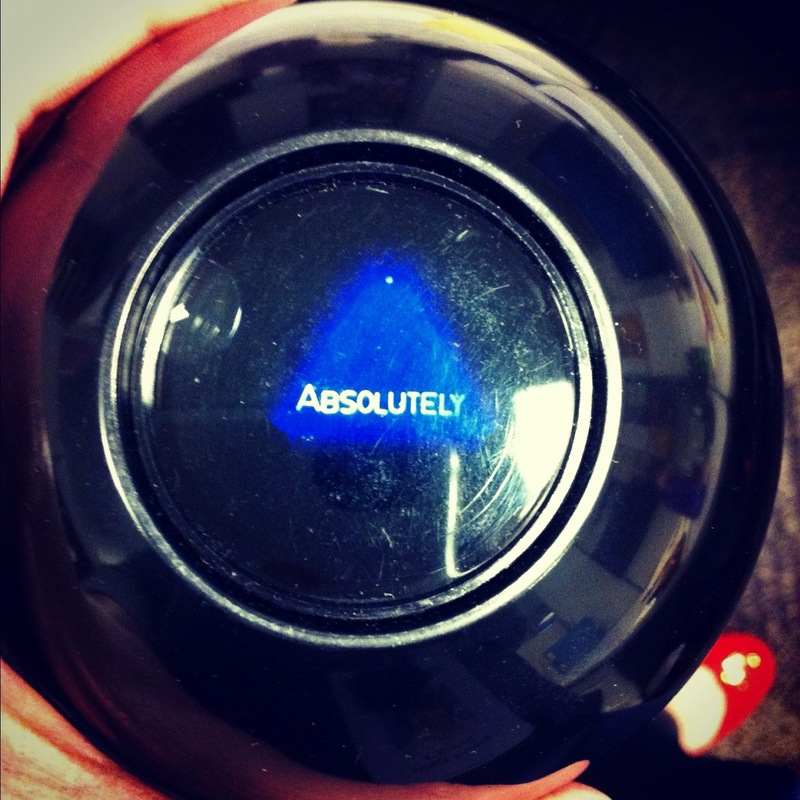 I consulted the office 8-ball; clearly it also was at a loss for words. This entry was posted in Stories and tagged somewhat funny stories, workplace etiquette on October 6, 2012 by ms.grammarian.